The All Progressive Congress, APC, at the weekend exonerated President Muhammadu Buhari from what it called the on-going travails of the Deputy President of the Senate, Ike Ekweremadu who is currently standing trials for alleged forgery of Senate rules. Speaking at an APC rally held at Awgu, the headquarters of Enugu West Zone, Vice Chairman of the party Chief Anike Nwoga said that President Buhari had no hand in Ekweremadu’s travails stressing that his trial was sequel to complaints by members of the Senate Unity Forum that his election, and that of Saraki “did not follow the 2011 Standing Orders of the Senate. “And that at no time did the 7th or 8th Senate amend Senate Rules to produce the purported 2015 Senate Rules used for their election. The Awgu APC rally held shortly after a pro-Ekweremadu group had protested against his perceived persecution, and was attended by the State Deputy Chairman of the APC Comrade A.C. Ude, Woman Leader, Lolo Queen Nwankwo, Chief Flavour Eze, representing the Minister of Foreign Affairs, Geoffrey Onyeama, Barrister Juliet Ibekaku, Special Assistant to the President on Justice Reform, Mr Osita Okechukwu, Director General, Voice of Nigeria, Barrister Sharon Ikeazor, among others. 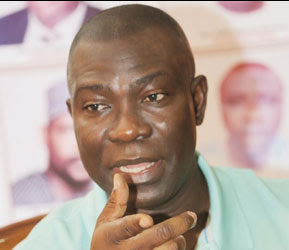 The APC Vice Chairman berated Senator Ekweremadu for writing a letter to the international community and urged him to retract the letter which he described as a desperate move which is at variance with his Oath of Office.